Researchers at Queen's University have published new findings, providing a proof-of-concept use of genetic editing tools to treat genetic diseases. The study, published in Nature Scientific Reports, offers an important first step towards treatment for a rare liver disease, as well as other disorders caused by genetic mutations. "Using the CRISPR-Cas9 system, we have demonstrated an important proof-of-concept in using gene editing to treat genetic disorders such as Arginase-1 deficiency," says Angie Sin, a postdoctoral research fellow in the Department of Biomedical and Molecular Sciences at Queen's. Dr. 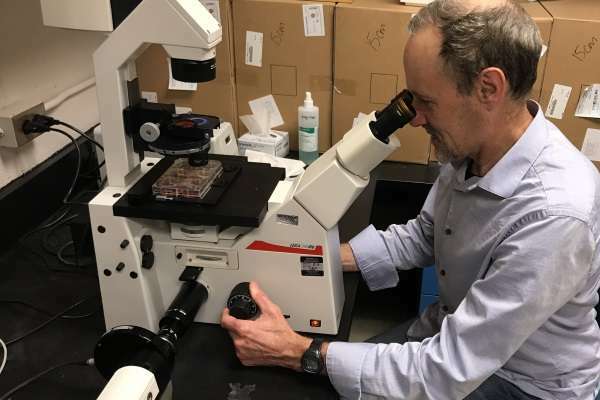 Sin, working under the supervision of Queen's researcher Colin Funk (Biomedical and Molecular Sciences) examined the use of the revolutionary CRISPR-Cas9 gene-editing tool, in combination with stem cell technology to repair Arginase-1 deficiency. The Arginase-1 enzyme plays an important role in the urea cycle – a key liver function that converts ammonia to urea for excretion in urine. Patients with a defective Arginase-1 coding gene are unable to convert ammonia, resulting in impaired ability to produce urea, as well as stunted growth, excess arginine in the blood, and progressive intellectual and neurological impairment. "Unlike many genetic disorders, there is a delay before symptoms present with Arginase-1 deficiency," says Dr. Funk. "With this new gene editing technique, there might be a chance to cure the disease – as well as other similar disorders – much earlier." In testing the technique, Dr. Sin utilized a cell model with an induced genetic deletion, resulting in a defective Arginase-1 mimicking the disease in humans. Using the CRISPR system, Dr. Sin was able to reincorporate the repaired exons into the cell's genetic structure and restore enzyme function. "Using this approach may hold great promise for developing gene editing strategies to repair Arginase-1 and other similar genetic disorders," she adds. "In current studies, we are using cells from Arginase-1-deficient patients to carry out a similar editing approach. The future goal is to transplant the corrected cells back to the patient and correct the disease. In addition, unlike the traditional gene therapy approach, there is no concern for loss of gene function over time or the potential for immune rejection."